Are you rocking the latest home trends? Moving house is usually the time when we take the opportunity to have clear out. It has become almost customary nowadays to make ‘piles’ of our unwanted goods according to their destination; charity shop, recycling centre etc. We begin to imagine our possessions in our new home and part with those that we don’t think will ‘make the grade’ with a view to buying new. Of course, giving to charities is very worthwhile. However, according to GOFA; In 2007, a study carried out by The Furniture Re-use Network (FRN) found that 10 million reusable items of furniture are sent to landfill by local authorities every year – almost 30,000 items every day! Now in 2016, we are all becoming more aware that we do not have a finite ability to keep adding to landfill, together with a greater appreciation for long-lasting well made goods that will stand the test of time. Of course, the economy has helped to drive this, as purses are pinched, people look for cheaper furniture. Previously, the flat packed fitted the bill. Once you’d chosen from a limited range, a Sunday afternoon spent with screwdriver, a cup of tea and a vocabulary to make your Grandmother blush would conclude with a blister on the palm of your hand and a shiny new piece of furniture that told the neighbours you’re trendy. However, a few years down the road, the toddler trundles and pooch paws soon saw to our manufactured board constructed piece, as it made it’s way to the recycling centre, having been crammed into the back of the family hatchback. We then begin to long for something that will not need to be replaced in a few years, rather like the furniture that Grannie proudly left us. Of course, at the time, we already had shiny new furniture, so we consigned Grannies Welsh dresser to the back of the garage or shed to conveniently store half used pots of paint, only to be taken along with the said pots to the recycling centre before moving day. There also comes a time when our personal taste matures and we favour items that make us feel comfortable instead of fashionable. Our buying choices may prefer that which is equally as cheap, but made well enough to last a few decades, future Grandchildren and just maybe, become something to pass on to them. It makes sense to us then, to buy quality second-hand furniture, which, along with the recent introduction of furniture paint is allowing us to have quality furniture at a price that suits us, in the style we favour and in any colour or finish that we choose. If we want, we can paint it ourselves, no expletives required and the paintbrush hasn’t caused bodily harm! And guess what? We’re also rocking the latest trend! If you’d like to know what that mistake actually means and why you are statistically likely to make a similar mistake when you come to put your home up for sale or rent, you might want to invest a few minutes of your time and read this article. It could save you a lot of time, heartache and, possibly, even make you financially better off too. 3. at a great or, at the very least, a fair market price. All agents should be working for you towards that aim. Let me start by saying that in 2014, my market share** of newly marketed homes in West Cornwall was just 1.5%. My largest competitor had 12.5%. That firm, along with the other five main agents, accounted for 45% of all newly advertised properties in the area between them. Volume and turnover of property is crucial to their profits. A higher chance of finding a buyer? However, having taken on 45% of all new instructions you might reasonably have expected them to account for around 45% of all completions (sales). But, here’s the thing… these firms only accounted for 32%. True, hundreds of people still sold their homes through these agents (more than my firm sold) but several hundred of their customers’ homes that, logically, statistically, should have sold… Didn’t. In retail, this sort of loss is called ‘wastage’. Despite this unfortunate (for the customers involved) loss, the volumes of scale these firms command make for great advertising and marketing war-chests so, again, you might expect the buyers for the sales that are agreed to be found more quickly and efficiently than by smaller agents. So their customers sold more quickly then…? The average time spent on the market until sold for the customers of the big five was a tad over 17 weeks. The area average for all agents was two weeks less. The best time? Just under 7 weeks (6.6 to be precise). Once again, customers who had chosen some of the best known names in the area had lost out. Why did so many people get it so wrong? Most people chose those firms because they appear successful and as humans we are hard-wired to follow a crowd. But life’s most successful people don’t just blindly follow a crowd. They look at alternatives. They consider other options that may be more beneficial to them and their families, even if that means breaking with convention and moving away from the apparent comfort of the herd. About Chris Wood: Chris is an estate agent with over 25 years of property experience. His business, PDQ Estates Ltd is based in Penzance and Helston, West Cornwall and was included in the Daily Telegraphs’ list of the UK’s top 20 best small estate agents “who go above and beyond to help their customers” in 2013. No stranger to the media, he has appeared on various programs including BBC, News 24, ITV, independent and BBC radio and is a regular contributor to trade journals, local and national Newspapers. Chris is on KloutLinkedIn Ecademy Facebook and Twitter – In his spare time; Chris likes to keep fit and was a long-standing member of the Territorial Army. In 2010 he mobilised for a tour of duty in Afghanistan with 1 Rifles as part of 3 Commando Brigade but was medically evacuated back to the UK before deploying to his forward base with his unit and is now medically discharged from the army. *1,978 of those people who put their property up for sale last year; not all property owners. Sorry, we used a statistical sleight of hand to catch your eye in the sub-headline but, we hope you’ll forgive us. Thank you. By the way, if you are reading this, the chances are that you are one of the wise minority of people who actually take time to research their agents before they appoint one and, read the small print before signing any contracts. Even if you decide not to use PDQ after reading this, we humbly applaud your perspicacious character. A number of estate agency firms (including my own firm, PDQ) use average asking prices compared to average selling prices in their marketing. But, there is a very real danger of confusing and abusing these statistics and consumers can easily be duped by impressive sounding claims if they are not careful. Example: “Our figures demonstrate we achieved 99% of the asking price compared to 96% of the average UK estate agency firm. This means we might achieve £6,000* more for you if you sell through us . The claim is clear. Sell with us, and you will sell your home for more money! But does it really mean the average seller will sell for more than with the average estate agent? In a word – No! An explanation: Many UK property statistics suppliers, including Zoopla (and some agents) calculate their average asking to selling figures by the price the property is being marketed at when it is taken off the market with them and NOT (as many assume) the price the property actually sold at. Example: A property comes onto the market at £200,000, reduces its price to £190,000 and a sale is then agreed at £180,000. In this case, the selling price would be recorded by Zoopla as £190,000 and not £180,000. But there’s more! 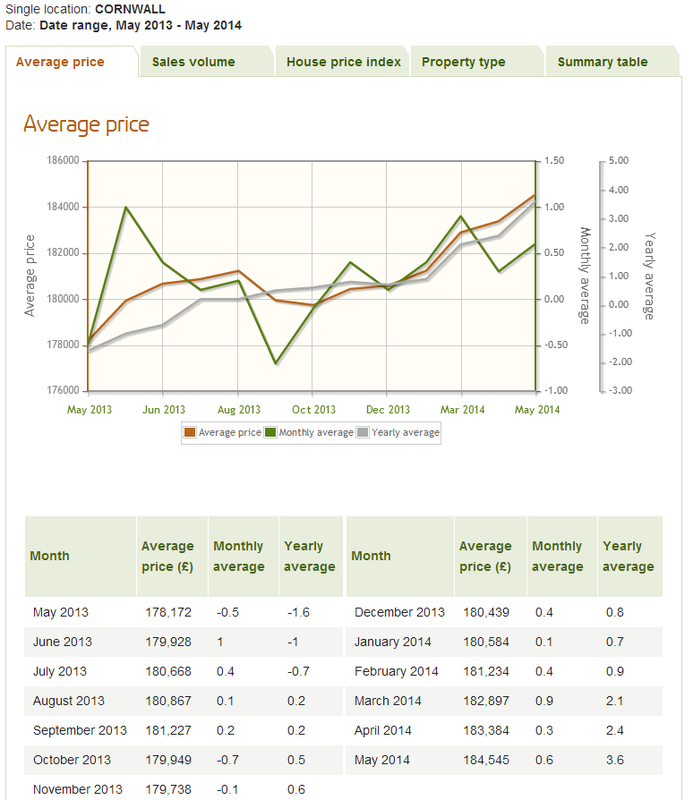 Now let’s look at the how you may be being duped by the average asking price / selling price claims even further. Assuming an agent takes on two properties; one at £500,000 and one at £100,000. His average asking price will be £300,000. Assuming neither of the properties drop their prices before being taken off the market; if the agent then sells the £500,000 property at the asking price, his average selling price will be £500,000 – £200,000 above his average asking price. To the average reader, this appears to suggest that the agent achieves £200,000 over the asking price for his customers. In fact, of course, this is not true at all. However, if the agent had sold the £100,000 property at £100,000 then his average sale price would be just £100,000. £200,000 BELOW his average asking price. Not something he will want to shout quite so loudly about, perhaps? This is the interpretation that, I believe, many agents quite unwittingly use. Of course, it MAY be the case that they genuinely achieve above the asking price for most of their customers properties BUT, my belief is that they have misinterpreted the figures and are misleading customers (unintentionally or intentionally) as a result. As in the example above, the agent takes on a wide range of property prices but sell more stock of one (higher or lower) price sector of the market than another. That the agent tends to regularly overvalue/ undervalue properties when they come onto the market. This can manifest itself in selling percentages either very close to, or over, the (artificially low) asking price boosting the agents statistical claims or; they sell for well below the average asking price and the agent keeps quiet about his average sale price. Having checked all of the actual sold prices of all of our customers who sold through us in 2014 against the original asking prices of the same properties (the gold standard for this comparison), PDQ achieved an average of 98.55% of the original asking price for them (a figure we are happy to have verified by two independent trade journalists of our choice if requested). One national agent who uses a high asking to selling price success rate percentage in their advertising doesn’t do so well when their local sale statistics are looked at. In 2014 in West Cornwall their average percentage was just 90%, ‘losing’ their average customer over £45,000 (using their own interpretation of average sale to average asking prices). As always, these statistics need to be viewed carefully, are from a statiscally small data set and, may well be genuine on a national basis, however; having checked our figures and like for like comparable sales in the area, we are fairly certain that this particular agents claim needs further scrutiny. No stranger to the media, he has appeared on various programs including BBC, News 24, ITV, independent and BBC radio and is a regular contributor to trade journals, local and national Newspapers. 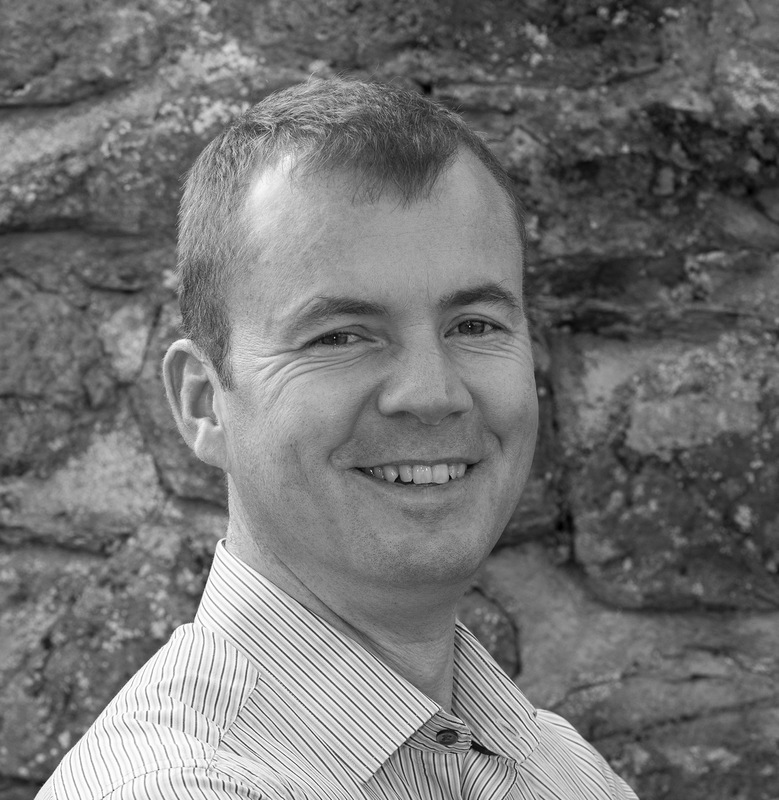 Chris is on KloutLinkedIn Ecademy Facebook and Twitter Married to Amanda, they live in Penzance with their children who are slowly flying the nest, along with their three spaniels. In his spare time; Chris likes to keep fit and is a long-standing member of the Territorial Army. In 2010 he mobilised for a tour of duty in Afghanistan with 1 Rifles as part of 3 Commando Brigade but was medically evacuated back to the UK before deploying to his forward base with his unit and is now being medically discharged from the army. Online agents – Big savings or, paying up-front for failure? As an agent who has always embraced new technology and working practices, I have no problem with on-line agents, in fact, PDQ now has an on-line only hybrid model in addition to our traditional estate agency service. However; what I do find unsettling, is when agents of any camp (on-line or high-street), make bold claims about being better than anyone else, or saving the consumer money etc, without giving a full account of the facts. Having had some spirited debates on social -media with one or two online agents and, being a bit of a pedantic statistics nerd, I thought I would take a look at some of their claims and the facts behind them. If you are thinking of selling your home using an online agent*, the results make for interesting reading. Hapless currently have a total of 11 properties available for sale with an average time of 22 weeks on the market against an area average of 27 weeks. Of the 2 properties that Hapless sold, one sold at £175,000 after a £15,000 drop and 10 months on the market – an almost identical property next door, however, sold at £200,000 3 months previously after 5 months on the market; a potential £25,000 loss for the sellers of the agents using Hapless? With a market share of 0.14%, you can see why I don’t spend sleepless nights worrying about on-line agents (at least, not at the moment). However, as a consumer, what do these figures really tell you? Firstly, all online agents that I am aware of, charge an up-front fee of several hundred pounds. This is payable whether you sell or not. So if you don’t sell, you haven’t saved. Quite the opposite to most high-street agents where you have a no-sale-no-fee guarantee. If you don’t sell with my firm, we won’t charge you a penny; a saving of around £600 compared to a few on-line agents. In the case of Hapless estate agents, they have only sold two properties this year out of seven new instructions and four existing ones that have been up for sale since 2013. Even using the most favourable instruction to sale ratio, this means that (based on 2014 figures) 71% of all of Hapless’ customers in the area we surveyed will pay for a service (selling their home) that they won’t actually receive. For Hapless’ (and other on-line agents) press claims about saving customers money to be accurate, they should, in my opinion, factor in the amount of customers who do not sell through them but, who have still paid for a service. But what if they DO sell your home? Again, to fully check the claim of any real savings, we have to compare the whole price including sale price of any property sold. By that I mean that if you have sold your home at a lower price than you might have with another agent, even if you have paid less for the privilege of doing so, you have not saved. Hapless have only sold two customers homes this year but one of these sold for £25,000 less than a very similar** neighbouring property. No doubt, this seller ‘saved’ on agents fees but, by my calculations, were potentially worse off by around £21,000. The other property sold at the asking price however, it is not possible to compare like for like with that property as other properties in the same road vary in price and style dramatically (by several hundred thousand pounds in two cases we found). No doubt, this seller ‘saved’ on agents fees but, by my calculations, were potentially worse off by around £21,000. 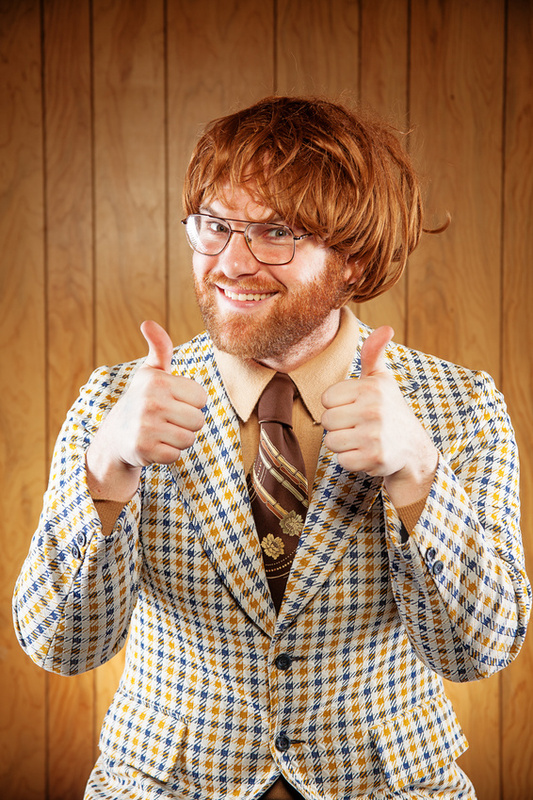 What are the chances of you actually selling with Hapless? Not all agents are the same as our monthly property market report for Cornwall clearly shows (link is a PDF download). From the data we have analysed, there appears to be a possible inverse correlation between the size of an agents register (how many homes they have for sale) and the percentage chance they have of actually achieving a sale, I.e. The more properties an agent has up for sale, the less likely it appears are your chances are of actually selling. In the case of Hapless agents, the size of their market share is statistically insignificant in our dataset area but, they may have a larger share nationally. However, what is clear from the data is that if you choose to sell through Hapless, you are more likely NOT to sell, than sell – only 18% – 29% at best, of their customers homes have achieved a sale. Put another way, Hapless have failed to sell between 71% and 82% of every customers’ home they have taken money from this year. So how does this compare to high street agents? As you see from the table above, the average agent in the West Cornwall area, has sold 60% of all they have taken on this year with (forgive the plug) my own company, PDQ, selling 79%. Again, these claims need to be looked at in the whole – how much have each of these homes sold for, were they correctly priced etc but, I’m afraid, I simply don’t have the time or resources to analyse over 2,000 housing transactions in the west Cornwall area. Whichever way you look at it, the High Street Agent offers a statistically far greater chance of actually selling than Hapless do in the West Cornwall area. Put another way, Hapless have failed to sell between 71% and 82% of every customers’ home they have taken money from this year. How about the speed of selling/ time on the market? Unfortunately, extrapolating figures for the “speed of selling” is not as easy as finding out the average “time on the market”. Although these two concepts sound the same, they are not. As we have already seen, not all properties sell and many of these are taken off the market or, try another agent. Consequently, the portals tend to show only how long a property was up for sale and not, how long the properties that actually sold were up for sale for. A subtle difference but, an important one. For this comparison, I am using ‘time on the market’. Using time on the market as a heading, as can be seen in the table above, Hapless agents do quite well against the average of 27 weeks for all agents, with an average of 20 weeks. However, consumers thinking of using Hapless might again, want to view this in the light of three very recent instructions bringing that average down quite dramatically and, the fact that, as I have shown above, 71-82% of all of their customers homes have failed to sell. On the face of it, using an on-line agent seems like a bit of a no-brainer; the savings and speed of sale that many boast of sound like a great deal and, no doubt, in some parts of the UK and in certain niche markets, they may well live up to those claims. However, in the sample I have looked at, they fail on every count and, on every claim I have debated with them, at length, on Twitter. Not only do Hapless agents not have a large and growing sector of the market as they claim, they don’t even have a 1% share in the area I looked at. More importantly, their claims to save people money simply do not stack up as the majority of their customers have already paid for a service they are statistically very unlikely to receive, hardly a saving or, in my opinion, a fair and legitimate claim. As for real ‘savings’, this needs to be seen in the whole and, based on the evidence I have shown; of the two houses they have sold this year in my area one appears, on the face of it, to have been undersold by a significant sum of money and the other is impossible to check accurately. As with all things, you pay your money (up-front in the case of on-line agents) and you takes your choice. My advice. Don’t just look for an agent with the biggest claims, the cheapest fees or, the most for sale boards. 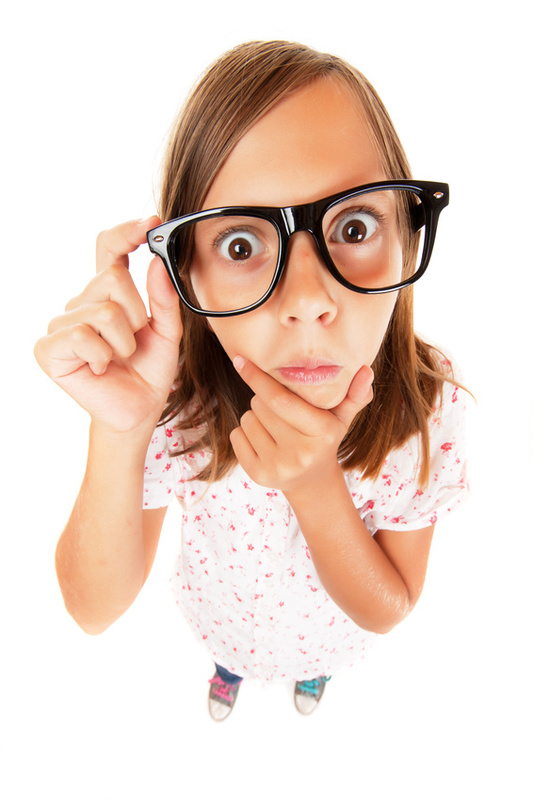 Do your research before you choose an agent and always look deeper into agents claims. Challenge your agent to prove why they are worth your business; good agents will be happy to answer your questions. Fictitious agents name change – An explanation. We have been asked to change the name of the fictitious firm we invented as it contained the same four letters of part a much longer trade name used by another online property business and the owners of that business believed it was damaging their brand. We are happy make it clear that, whilst we do not believe that any reasonable person would have drawn the conclusion that the name we used was in any way related to another company that does not even deal in online property sales at the moment or even any online properties in the area we mentioned in this post, we intended no confusion or slur on our part. We would also like to point out that when and if that business secures enough market share in the area under review for us to make a reasonable comparable analysis we will, however, be happy to run a similar exercise using the same data sets and their full trade name alongside our own trading data in order for a fair comparison to be drawn by consumers. *The data was taken from West Cornwall only. Success and failure results of online and traditional agents are likely to (and do) vary significantly in other parts of the UK. *Journalists: On request, I will provide all of my working data and remote screen access to online data used in this post for verification to a panel of independent property journalists for verification and checking. Whilst I am not a qualified or trained statistician, I am aware that the sample above may be regarded as statistically insignificant and, therefore, possibly unsafe to base any firm conclusions on but, given the claims of massively increased market share by some online agents, I believe they are worth publishing to open up debate and give a transparent picture of the reality of online agents in one small part of the UK. About Chris Wood: Chris is an estate agent with over 25 years of property experience and a leading campaigner against PortalJuggling. His business, PDQ Estates Ltd is based in Penzance and Helston, West Cornwall. He has worked with all sizes and types of businesses from single office independents to the management team and board of RBS and Tesco. A former President Elect of the NAEA and board member of NFoPP until he resigned in 2009, Chris has always championed the highest professional standards forestate agents in the UK. No stranger to the media, he has appeared on various programs including BBC, News 24, ITV, independent and BBC radio and is a regular contributor to trade journals, local and national Newspapers. Chris is on KloutLinkedIn Ecademy Facebook and Twitter and lives in his beloved Penzance with his two spaniels. In his spare time; Chris likes to sail and is a former long-standing member of the Territorial Army. In 2010 he mobilised for a tour of duty in Afghanistan with 1 Rifles as part of 3 Commando Brigade. Since when did being able to afford to buy a home where you want become a ‘right’? I ask this following on from a few comments on our social media posts recently where some posters have made usually benign, but occasionally unpleasant, comments about the price of property and its general affordability. A number of comments seem to imply that affordable housing for purchase (not rent) is, or should be, a right. Rather than ignore this thorny subject, I thought it would be good to open it up for debate as an issue that faces many people across the UK, not just in West Cornwall. In modern-day Britain everyone should, and does in fact, have the right to a place they can call home but, mass home-ownership (as opposed to rented accommodation) is a very new phenomenon (see pic 1.) 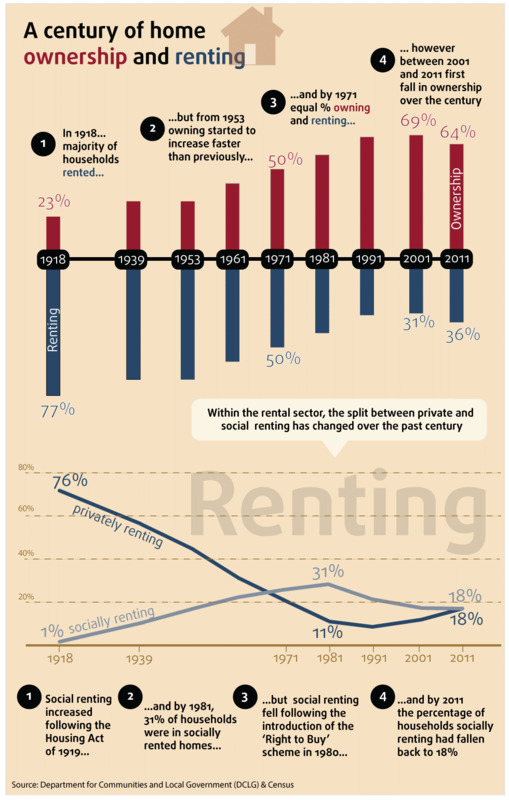 and its current reversal of popularity may not just be the obvious one; as more younger people are choosing to rent giving them, as it does, greater flexibility with job movement and lower financial responsibilities and commitments if the property develops problems. So should everyone have a ‘right’ to be able to afford to buy a home where they choose or, happen to have been born by accident of birth? Of course, everyone does have a right to buy property at a price they can afford. What is not always possible is affording what they want to buy, where they want to buy it. Interestingly, one of the most recent commentators on our posts who complained about the lack of affordable housing to buy in West Cornwall, chooses to work outside of the Duchy. Thanks to social media and having a lifelong friend in the same industry as the poster, we can see our poster works in what I know to be a relatively well paid job in an area of the UK that, until the big industry that he works in arrived, had very affordable housing for the local population. However, ask a second or third generation local in that city who doesn’t work in that major industry and they will tell you that they cannot afford to buy where they were born due to outsiders coming in and pushing up prices. My irony meter has just exploded. Those locals in that area have very similar choices and opportunities to that which our poster enjoys. He chose to work away from his town of birth and move to an area where work paid more and offered more remuneration for his skills. In doing so, it could be argued, he prevented local people in that area from taking well paid employment and, pushed up property prices out of their reach. Should our poster be denied the right to better himself and earn a reasonable living by travelling around the UK and abroad to work for major employers? Not many people would deny him that; I for one certainly don’t. Having been educated and employed out of his local area, is it fair that his local area is required to provide him with subsidised housing to buy and, presumably, profit from in the long-term when he decides to return? Over to you on that one. But even if we take someone like me, who left school at 16 to, initially, work as a fisherman, who didn’t leave the Duchy to go to University and, who has worked long hours and had countless sleepless nights to build up a business that now provides employment for seven local people; should I simply be provided with a home I can afford to buy in my home town? If so, how do we define what is ‘affordable’? What was affordable for me today following an injury whilst training for deployment to Afghanistan with 3 Commando Brigade is quite different from what was affordable for me when I was acting as the sole consultant to Tesco & RBS a few years ago and, why should I be ‘given’ an affordable home in any case? Where should this affordable home be? Where I want it to be, with a nice sea view, good-sized gardens and close to all amenities or, will it be where some local committee or bureaucrat decrees my affordable home must be? If so, if I don’t have a say in where it is or what it looks like; it’s not really ‘my’ home. I might as well rent. It’s not much of a ‘right’. Chris was born and lives in his beloved Penzance with his two spaniels, likes to keep fit and is a former member of the Territorial Army. In 2010 he mobilised for a tour of duty in Afghanistan with 1 Rifles as part of 3 Commando Brigade. Thinking of using an agent quotation site? There are a number of new sites popping up where you enter your house details to a portal and agents bid for your business. On the face of it, they sound like a good deal: You let two or three agents submit proposals to you and you pick the winner – Great! – But, is it the best way to secure the best result for you and your home? First of all – What are your primary aims for selling in the first place? Is price the most important consideration? Or, do you need to move by a certain date? Second – What do you actually want from an agent? – “Duh! Sell my home” – Apart from the obvious; after your primary aims for selling (above) this should be one of the top questions you ask yourself. Are you just looking for the lowest commission? Is a quality service important to you? Have they got a good record for selling homes quickly? Can they show they can achieve good sale prices? Do you want your agent to accompany every viewing? Are they open at weekend and cover evening appointments? Are their staff trained/ qualified? Have they suitable experience in the area? If you are looking for the lowest fees, it’s simple, there are plenty of online agents who will take a few hundred quid up front from you and stick your home on Rightmove with little to no incentive to sell your home or negotiate a better price. So why bother with a bidding process in the first place? All of the other questions, are best asked when you ask those agents out to your home, where they can bid for your business having seen your home, appreciated what your needs are and formulated and discussed a marketing plan that suits you and your budget. Ask any consumer journalist and they will tell you to do your own research and then ask out three agents where you can give them a friendly grilling using pre-prepared questions (at PDQ, we even send out a list of questions to ask us and words/ phrases to be wary of to help make the process easier). You still end up with three agents bidding for your business but, the end result is far more likely to be the one you want and; let’s be honest; when was the last time that adding a middle-man into the equation helped make a situation better for the consumer?